Though World War Z went through its fair share of production troubles, the end product really wasn’t all that bad. It had its problems, to be sure, but it was a mostly enjoyable zombie romp with a few truly chilling moments and enough potential that a sequel was always going to be on the cards. 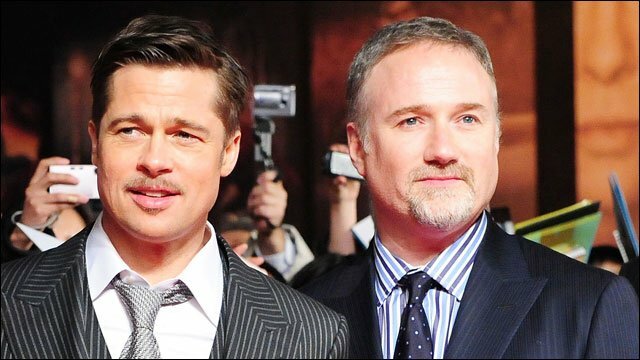 Now, World War Z 2 is beginning to take shape, as Variety reports that Paramount has brought in David Fincher to helm. We first heard that the acclaimed filmmaker was interested in the project back in the summer, and according to the outlet, it looks to be a done deal now – after seven months of negotiations, with Brad Pitt reportedly trying to woo his frequent collaborator to work together again. Given how picky the director is when it comes to choosing his films, and the fact that he’s not a very big fan of sequels, seeing him sign on bodes very well for World War Z 2, leading us to believe that there’s probably a pretty strong idea in place here. That, or he just really wants to reunite with Brad Pitt again. After all, the pair have collaborated several times now, previously bringing us films like Seven, Fight Club and The Curious Case of Benjamin Button. Suffice to say, they make a very, very good team and we’re definitely curious to see how they can improve upon the original and deliver what we hope will end up being a terrifying, zombie-filled adventure – one that might even carry an R-rating. Production is expected to begin in early 2018 and aside from Pitt, Variety’s report doesn’t mention any other cast members. With Fincher now on board though, you can expect a number of top-tier actors to throw their hat in the ring for a chance to work with the iconic filmmaker. Not only that, but World War Z 2 will mark the director’s first big screen effort since 2014’s Gone Girl, so you can bet he’ll come out swinging. As always, watch this space for more.